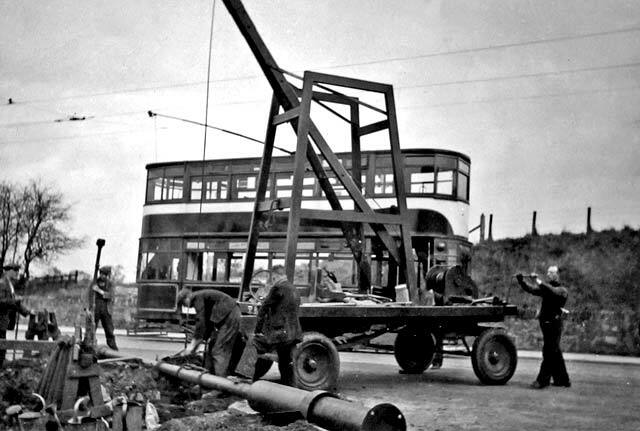 Installing a lamp post - Where and when? - Lamp post on the ground. "This photo, raising the Mackenzie and Moncur 'Slimline' column appears to be a staged one. it might have been a prototype. A very interesting photo nonetheless."